Part of Redtwist's new off-night series called MORE RED. Performed in rotating rep with Redtwist's MAIN season show, The Beautiful Dark, and its DARK RED late-night series show, Drunk and Ready. 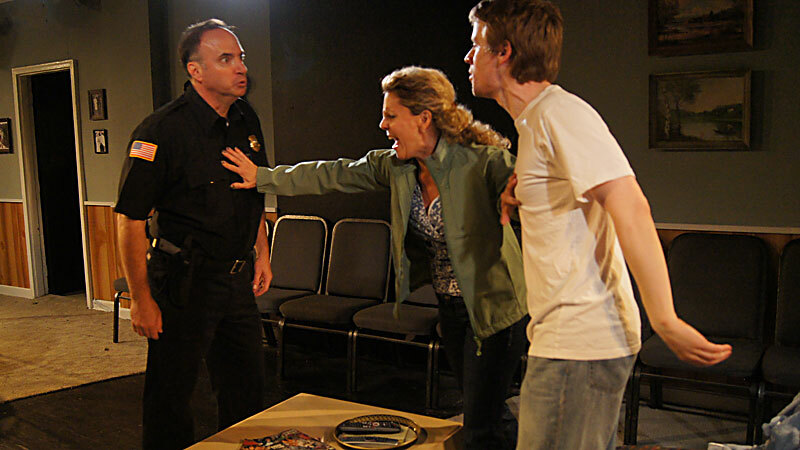 Scott Weinstein, recent director of the acclaimed play She Kills Monsters, tackles the game of football in Redtwist's tiny space. All-American asks the question, "Can the daughter of an ex-NFL player become the next star quarterback?" All-American is a sharp and witty family drama about the strife within a "football family," featuring Katie, a 17-year old high-school quarterback encouraged by her hard-driving, ex-NFL dad to be the first woman to play college and pro ball. Katie is an excellent football player, but her practical mom and insightful twin-brother see the writing on the wall: dad's dream is delusional and his goal for his daughter is obsessive. His inability to accept his own post-football life threatens his daughter's physical and emotional well-being, and the stability of the entire family. The only time you can see it onstage before it becomes a feature film! Drunk and Ready is part of our late-night "Luv Cycle" series from our resident playwright, Scott Woldman. An ongoing roller coaster ride through the rocky realm of relationships. A year after seeing her fiancé flattened by an ice cream truck, Kimberley is finally returning to the world of dating. Fortunately for her, she has her two best friends to help navigate the awkward minefield of stoners, hipsters, posers, and one-liners. This hilarious new comedy exposes the unlimited amount of male stupidity that women endure just to enjoy a night on the town. New Orleans princes of funk, Ivan and his cousin Ian Neville (sons of Aaron and Art), continue the family tradition as touring musicians with a talented lineup in Dumpstaphunk. It was our great pleasure to score an interview with them at Summer Camp Music Festival 2013, over Memorial Day weekend. Check out our interview for their account of a harrowing, near death experience the night before, when another driver fell asleep with the cruise control on, careened across the median and came within feet of a head on collision with their van!! ChiIL Live Shows congratulates Million Dollar Quartet on their recent exciting landmark. The Chicago production just celebrated 2000 performances July 11th! The kids and I thoroughly enjoyed Million Dollar Quartet when we had a chance to catch the show and meet with the cast last winter! 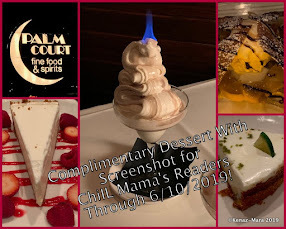 Click here to check out our review and past coverage. Million Dollar Quartet makes our ChiIL Picks List for multigenerational musical fun. This is one show that will be as much fun for the grandparents as the kids. To mark the 2,000th show, original MDQ cast member (now on the National Tour) Kelly Lamont joined the company for a “Sitting in with the Band” appearance during the encore. The company also celebrated with a specially-designed cake, courtesy of The French Pastry School. Million Dollar Quartet, now Chicago’s longest-running Broadway musical, is stronger than ever. Tickets are on sale into January 2014.
new block of tickets on sale now through January 5, 2014! 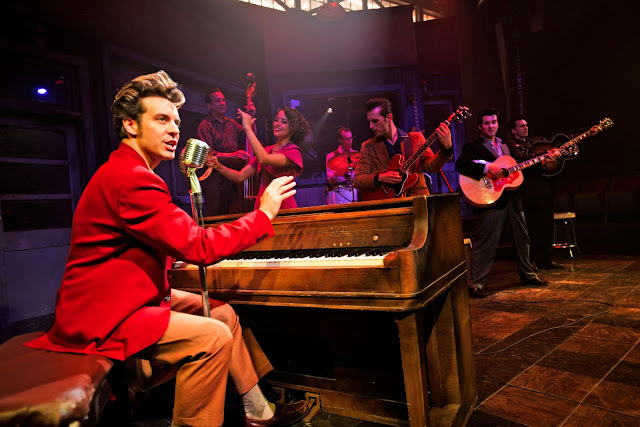 Million Dollar Quartet, now the longest-running Broadway musical production in Chicago’s history, has extended through January 5, 2014. With 2,000 performances and 5 smash years in Chicago, the Tony Award-winning rock ‘n’ roll musical has set a new record for the longest-running Broadway musical in Chicago. The Chicago production continues to break box office records at the Apollo Theater, 2540 N. Lincoln Ave., Chicago. Tickets are now on sale through January 5, 2014 at the Apollo box office, phone (773) 935-6100, and online through Ticketmaster, www.ticketmaster.com. For more information, visit www.milliondollarquartetlive.com. Million Dollar Quartet has extended performances through January 5, 2014, with cast members Brandon Bennett (Elvis Presley), Shaun Whitley (Carl Perkins), Lance Lipinsky (Jerry Lee Lewis), Chris Damiano(Johnny Cash), Tim Decker (Sam Phillips), Whitney Kraus Jones (Dyanne), Marc Edelstein (Jay Perkins/Bass player) and Dan Leali (Fluke/Drummer). The Tony Award-winning musical inspired by the famed 1956 recording session that brought together legendary rock ‘n’ roll icons Johnny Cash, Jerry Lee Lewis, Carl Perkins and Elvis Presley, celebrates its long run in Chicago, a Tony Award-winning New York run, a long-running London production, a newly-opened production in Las Vegas, and a national tour that kicked-off in October 2011. Brandon Bennett (Elvis Presley) a native of Ponchatoula, Louisiana, has performed with legendary stars like The Jordanaires, DJ Fontana and The Sweet Inspirations. Brandon has been honored with several international awards, including prestigious honors from Elvis Presley Enterprises, Inc. He joins the cast of MDQ after performing for the past two years with the stage production The Elvis Story in Quebec, Canada. Brandon recently appeared on The Late Show with David Letterman. 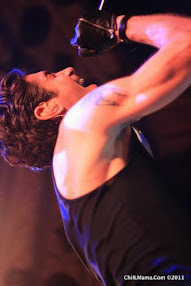 Chris Damiano (Johnny Cash) is an Atlanta native, whose Chicago credits include Sugar at Drury Lane Oakbrook, Theo Ubique’s productions of Evita (Che, Jeff Award Non-Equity) and Jacques Brel’s Lonesome Losers of the Night (Man 1, Jeff Award Non-Equity). Damiano played guitar for Lil’ Buds Children’s Theatre productions of Those Silly Reindeer and Still Life with Iris. He currently plays with the bluegrass band Groundspeed and with the Italian folk/jazz group I Monelli monelli. Marc Edelestein (Jay Perkins, Bassist) Devoted to American roots music, Marc has performed internationally in rockabilly, bluegrass, country, and folk projects. Performances include altcountry’s Robby Fulks Band; 7 years with Special Consensus Bluegrass Band; musical revue Women In My Life with singer-songwriters Bob Gibson and Michael Smith; Chicago Symphony Orchestra’s country & western auxiliary CSOakies; and numerous recordings. Marc made his theatrical debut as string bassist and vocalist in the Jeff Award winning Woody Guthrie’s American Song (Northlight, Briar Street Theater), and performed in Shakespeare’s As You Like It (Goodman Theater). Million Dollar Quartet features a treasure trove of the greatest rock ’n’ roll, gospel, R&B and country hits from these music legends, including “Blue Suede Shoes,” “Fever,” “Sixteen Tons,” “Who Do You Love?,” “Great Balls of Fire,” “Ring of Fire,” “Whole Lotta’ Shakin’ Goin’ On,” “Folsom Prison Blues,” “I Walk the Line,” and “Hound Dog.” Million Dollar Quartet captures the infectious spirit, freewheeling excitement and thrilling sounds of a singular moment when four of the music industry’s most extraordinary talents, all in their creative prime, came together for one of the most memorable nights in music history. 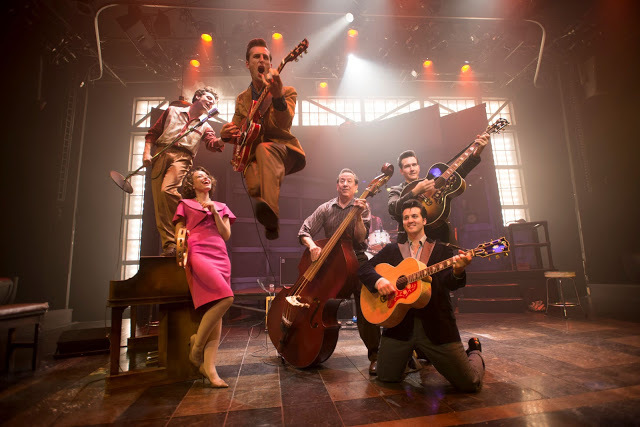 Million Dollar Quartet had its world premiere at Florida’s Seaside Music Theatre, and was subsequently staged at the Village Theatre in Washington, breaking box office records. In Chicago, the production moved to the Apollo on November 5, 2008, following its sold-out, limited engagement at the Goodman’s Owen Theatre. 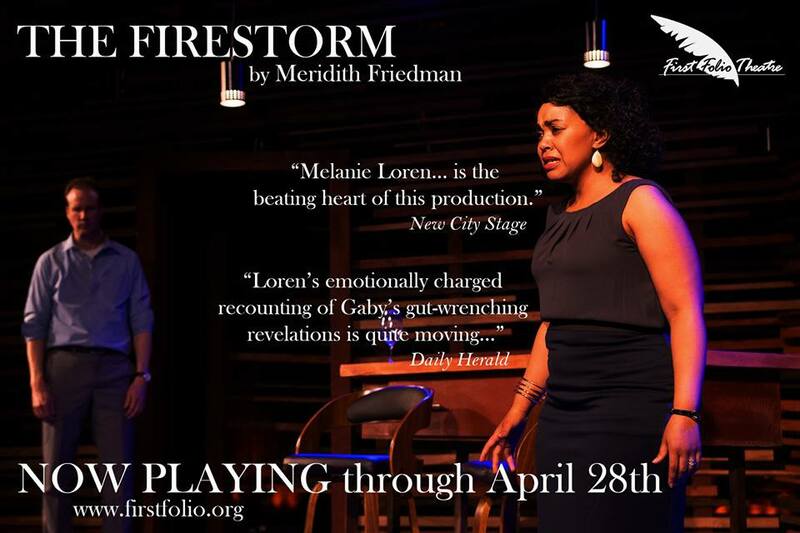 The Broadway production garnered three Tony Award nominations, including Best Musical, Best Book of a Musical and Best Featured Actor in a Musical, Levi Kreis; three Drama League Award nominations; and an Outer Critics Circle Award nomination. Million Dollar Quartet is the longest-running production in Chicago’s history and is also currently playing in Las Vegas and on tour. Million Dollar Quartet tickets are on sale through January 5, 2014. Tickets to Million Dollar Quartet at the Apollo Theater are available through the Apollo Theater box office, 2540 N. Lincoln Ave, (773) 935-6100. Tickets are available online through Ticketmaster, www.ticketmaster.com. The Apollo performance schedule is as follows: Wednesdays at 2:00 p.m. and 7:30 p.m.; Thursdays at 7:30 p.m.; Fridays at 8:00 p.m.; Saturdays at 5:00 p.m. and 8:00 p.m.; and Sundays at 3:30 and 6:30 p.m. Sunday performances will be at 2:00 p.m. and 5:00 p.m. starting June 2, 2013 for the duration of the summer. Million Dollar Quartet will offer special family discounts on select Sundays. Family nights have extended through the summer of 2013, and are currently scheduled for July 28 and August 18 at 5:00 p.m.
Tickets to Million Dollar Quartet Family Nights are buy one, get one free. (One child under 17 will be admitted free with each adult ticket purchase.) The evenings will feature giveaways with special gifts fromMillion Dollar Quartet. Check www.milliondoallarquartetlive.com/family for information about upcoming Family Nights. Rawlins, dedicated to developing new work for the stage. Current projects include: Snapshots, a new musical with book by David Stern and music and lyrics by Stephen Schwartz, creator of Wicked, Pippin andGodspell; and a new musical version of Dennis The Menace, scheduled to open in Seattle later this year. Relevant’s sister company, Odd Lot Entertainment, develops and produces outstanding new film properties. 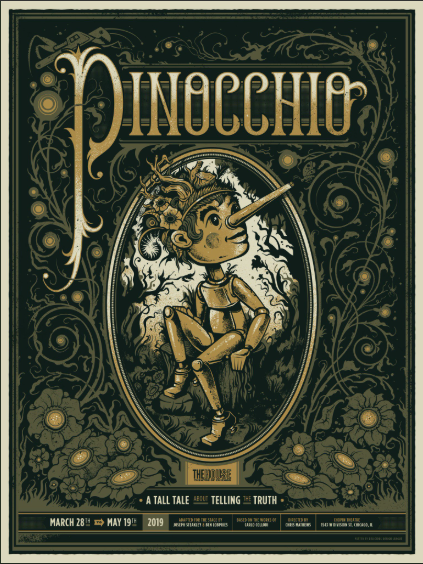 Current productions include the feature Rabbit Hole, based on the Pulitzer Prize-winning play by David Lindsay-Abaire, starring Nicole Kidman and Dianne Wiest, and directed by John Cameron Mitchell. Relevant Theatricals is proud to be part of the producing team that developed Million Dollar Quartet. Black Tusk is one of our favorites in the metal genre and maybe the only "swamp metal" band around. Here's our original video interview with the guys and our live show shots from a number of their Chicago gigs over the past few years. 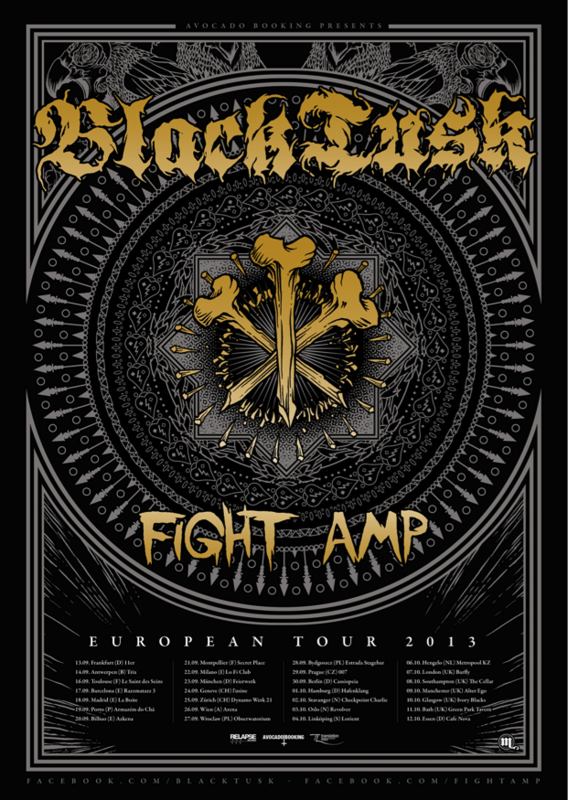 BLACK TUSK have confirmed that they will return to Europe this autumn to tour on the back of their brand new EP Tend No Wounds. The trio from Savannah, Georgia will be supported on all dates by Fight Amp. 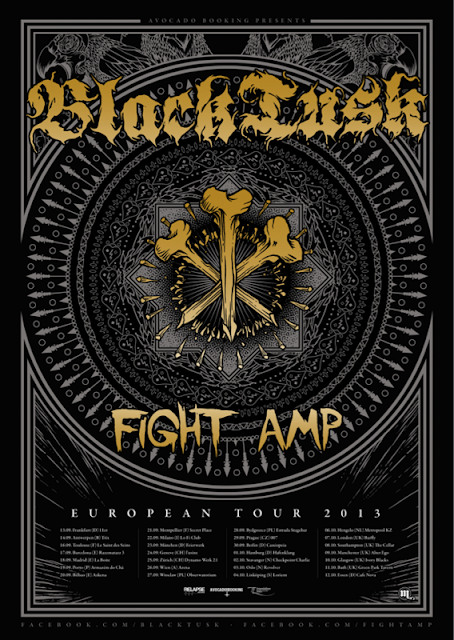 "BLACK TUSK is excited to be returning to Europe and the UK to support our new EP Tend No Wounds. This will be our first time extensively touring the UK as well and we are excited to see new cities show up on the routing that aren't usually there. We couldn't be sharing the stage with a bunch of better dudes than Fight Amp and we are looking forward to slaying some shows and drinking some beers with all our buddies on the other side of the pond!" Tend No Wounds is a six track EP that takes you on a twenty minute ride of raging Southern rock and pure adrenaline, providing the perfect stop-gap between their last album - Set The Dial - and their next. The EP was recorded with producer Phillip Cope (Kylesa, Baroness) at the Jam Room in Columbia, South Carolina. Tend No Wounds will be available in CD, Vinyl and digital formats and can be pre-ordered from the Relapse Records Store HERE. BLACK TUSK has also announced a handful of regional tour dates for this summer. They start July 24th in Augusta, GA and runs through July 27th in Memphis, TN. I had the pleasure of shooting Spiritualized for ChiIL Live Shows at Lincoln Hall in Chicago 7/12/13. Check out our original show shots right here. "When you make a record, it has to be the single most important thing in your world. This time around, I wanted to do something that encompassed all I love in rock 'n' roll music. It's got everything from Brtzmann and Berry right through to Dennis and Brian Wilson. I'm obsessed with music and the way you put it together and I don't believe there are any rules." So says, J. Spaceman, commenting on the recording of his new album, Sweet Heart Sweet Light, which was released on Mississippi-based independent Fat Possum in March 2012. Recorded over the past two years in Wales, Los Angeles and Reykjavik, and mixed for a year in the confines of his own home, Sweet Heart Sweet Light was Spiritualized's seventh studio album and the first release since last year's epic Radio City Music Hall rendering of their 1997 game changer Ladies In Gentlemen We Are Floating In Space. Coming four years after release of the internationally acclaimed Songs In A&E,Sweet Heart Sweet Light was one of the most eagerly anticipated releases of 2012. Taking musical risks is a hallmark of Spiritualized's outlook. Witness them playing the new album, unannounced, from start to finish live at London's historic Royal Albert Hall - something unheard of in today's clamour for instant hit gratification. As J.Spacemen says "I don't believe there are any rules" and this album will testify to that. Click here for Spiritualized's official site. Thank to the commenter who said "Finally, the interviewer is not an idiot." You made my day.Clutch is getting some main stream acclaim at last. But they're no sell outs. Their new material is intense and as amazing as ever! Click here to check out our original Clutch live show shots, album review and more past coverage. Next Leg of "Earth Rocker" North American Tour Starts in September! CLUTCH is wrapping up the summer on the European leg of their "Earth Rocker" World Tour which saw the band playing to sold-out houses at their headline shows as well as numerous festival appearances. The band will back stateside after two sold out shows in Greece this weekend. But before they land in Maryland, singer Neil Fallon will appear as a featured guest on VH1 Classic's "That Metal Show" hosted by Eddie Trunk, Don Jamieson and Jim Florentine. The episode premieres tomorrow on VH1 Classic at 11:00 PM EDT. Neil appears alongside guests Ricky Warwick and Scott Gorham (Thin Lizzy/Black Star Riders) whom CLUTCH has toured Previously toured with in the UK. For more information visit the "That Metal Show" site HERE. CLUTCH will kick off the next leg of the "Earth Rocker" World Tour September 14th in Baltimore, MD with an appearance at "The Shindig Festival". But before they doCLUTCH will also make a one off trip to Western Canada and appear in Edmonton, Alberta on August 31st for theAlberta's Own Festival. Support on the headline tour in September will come from The Sword and Crobot. The start of the October leg of the tour will begin with another festival appearance in Virginia Beach, VA at "Localpalooza". Support on the October and November shows will be provided by The Sword and American Sharks. Earth Rocker was released March 19th via the band's label Weathermaker Music. The album entered the Billboard Top 200 chart at #15 achieving the band's highest chart position to date. The album then proceeded to hold its own on the Billboard Top 200 for a total of 5 weeks. The album also came in at #1 on the Hard Music Chart and #3 on the Independent Album Chart. The digital demand for this album continues to be very strong. In the week of releaseEarth Rocker shot to #4 on iTunes' overall Top 100 album charts and was #1 in their rock chart. Earth Rocker is available for purchase at the CLUTCH Merch Store. 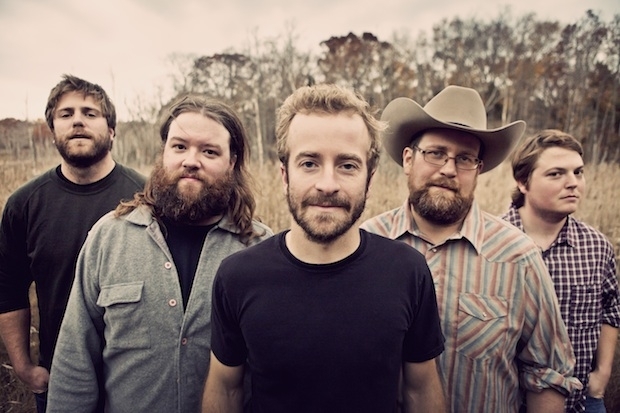 Trampled By Turtles included in film and soundtrack to The Way Way Back out this week! Click here to check out our past coverage about The Way Way Back. This will be TBT’s ONLY Chicago festival performance of 2013! Yes! Trampled By Turtles, who will perform at the Hideout Block Party / AV Fest have had their beautiful song “Alone” included in the highly anticipated film, The Way Way Back, which was just released in theaters nationwide this week! TBT proudly come from humble Duluth Minnesota. They have tattoos of Minnesota on their arms. They proudly play at the Minnesota State Fair. TBT has an intense and loving legion of fans, and great reviews for all their albums especially their latest beautiful album “Stars and Satellites”. Known for their amazing raucous live shows, they quietly went up the northern Minnesota to record and be “Alone” under the great northern stars and satellites. “We wanted to make a record that breathes,” explains Dave Simonett (guitar/vocals). “You know how sometimes they say ‘less is more,’” notes Erik Berry (mandolin), “that’s what Stars and Satellites is about.” Less is More! That is the Hideout Style! The Chicago Style! The Midwestern Prairie Style! TBT is a band of big burly bearded Lumberjacks. Regular guys who can hunt and fish and survive the cold winters. But inside these guys burns a hot red campfire heart, a big bear hug of love. They have a silly ironic band name, but when you see them live, you’ll know why we all love them. And you are not “Alone”! 10th Wheel Gymnastics World Championships 2013 Chicago LIVE Stream of the competition’s events for the rest of the week. Starting today at 11:30. Check it out!